Monthly newsletters are a perfect way of keeping in touch with customers and prospects. Meaningful and relevant emails that genuinely provide value to the reader increases trust, repeat and/or new business. But many small local businesses lack the time, effort and expertise that is required to run a monthly newsletter, each and every month. Many local businesses don't have a good, clean database of customer emails. This is one of the biggest hurdles because if you don't have enough emails in your database, you will be naturally inclined towards not running a monthly newsletter. Even if they have some emails, they are often spread out in obscure places like email inboxes and spreadsheets. This can be easily addressed by using any email marketing tool like MailChimp or Constant Contact, etc. More savvy businesses can even use a Customer Relationship Management (CRM) tool like SalesForce or Zoho, etc. Putting together a nice newsletter takes time and effort. You need to come up with fresh content, something that's meaningful for your readers. You need to use fresh images, content, a nice template. All this can easily take a full day or two. With already so many things to take care of, writing a newsletter becomes a low priority, and eventually forgotten forever. You may be a natural/good writer. But are you a good graphic designer too? Are you good with analytics and tracking? Do you know the ins-and-outs of the email software you intend to use? The list goes on. A good newsletter comes with team effort, often involves the business owner, a content writer, a graphic designer, a marketing operations person, and if your list is big then even a data scientist! Hiring a big team of all these experts may not be viable for many local businesses. Setting up your account with proper settings. Importing customer and leads data from all your obscure places into the email marketing software. Cleaning the data to ensure emails are correct, remove duplicate entries, etc. Once setup, it's yours for life! Next, we set up a schedule that works well for you and your readers. It could be the first of the month, middle of the month, or whatever you may choose. Every month, we come up with unique material that your readers will love to read and share. We review the material with you, put it together with high quality images, links to your website, call to action buttons, etc. Once the newsletter goes out, we track important statistics like who opened the email and when, who read the email and when, did they take any action like clicking a button or a link in the email, etc. 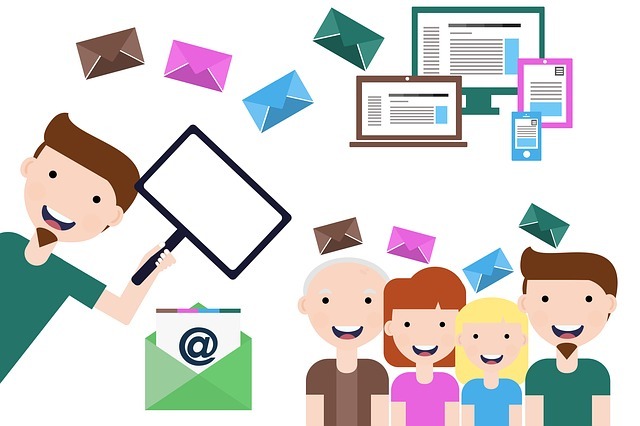 Not just that, using Google's custom "utm codes", we are able to tie your newsletter email marketing with your website's traffic so that we can later understand what makes your readers come back to your website, and what do they do next. This can help you improve your website content, provide better user experience, and so on. All content that we create is yours, you own the copyrights. We do all this at as low as $0.07 per email! Plus, there are no long term contracts. You can use the service for a one time email, or monthly. If you commit to a longer duration, we will be happy to give you discounts to sweeten the deal even more! Ask us for a free email newsletter copy for your business!